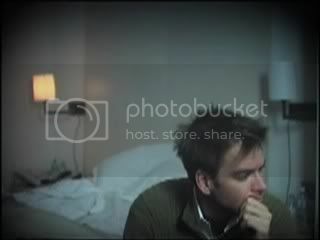 Michael Weatherly in "The Sentimental Conversation"
I uploaded .avi converted version of "The Sentimental Conversation"; mini-mini film series directed by Julian West, Part 1 of 3: "Rex" featuring Michael Weatherly. This short 'film' kind of scares and confuses me, but MW just looks awesome and gorgeous in it, you should at least give it a try. This definitely is a keeper. Also, if you like Part 2: "Eve" ft. Rosario Dawson & Part 3: "Thomas" ft. Julian West and need those files as well, tell me and I'll upload them.